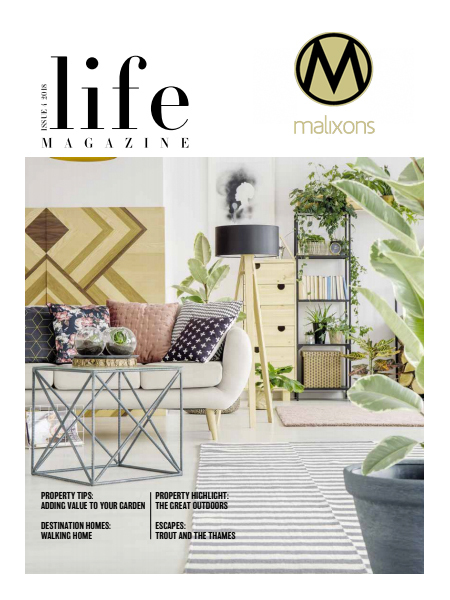 The Malixons Lifestyle Magazine is a quarterly publication, produced to a high standard, featuring 40 plus pages of our London Properties, to buy or to rent, as well as exclusive interior design trends, reviews, designer interviews and a selection of attractions to try whilst in London. The magazine is mailed to the Malixons Database as well as being hand delivered to addresses local to our offices, as well as popular cafés in and around London. For your copy of the publication, please use the contact page to get in touch or call us on +44(0) 203 196 4789.